Caroline Keller, president of the Student Wellness Network, discusses her struggle with anxiety and eating disorders. Stefani Hathaway, psychologist counselor at the BGSU Counseling Center, gives expert advice for any student with questions. 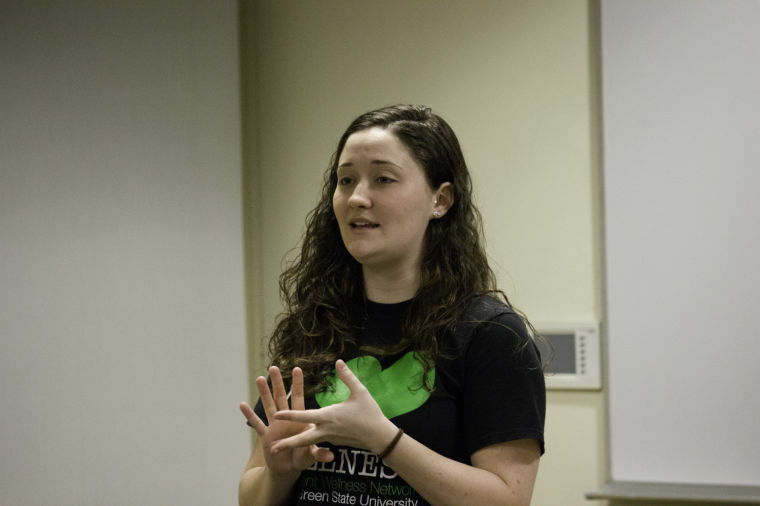 Junior Psychology major Megan Small shared her story about having an eating disorder. 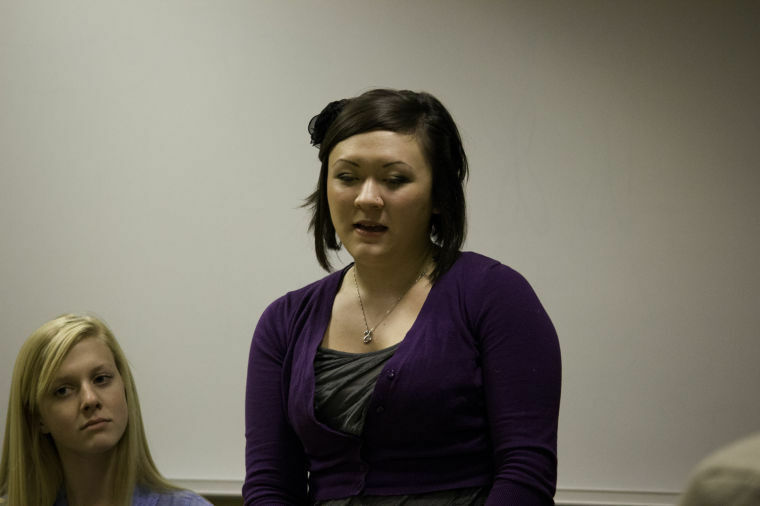 Junior Psychology major Amanda Moser discusses her struggle with OCD. 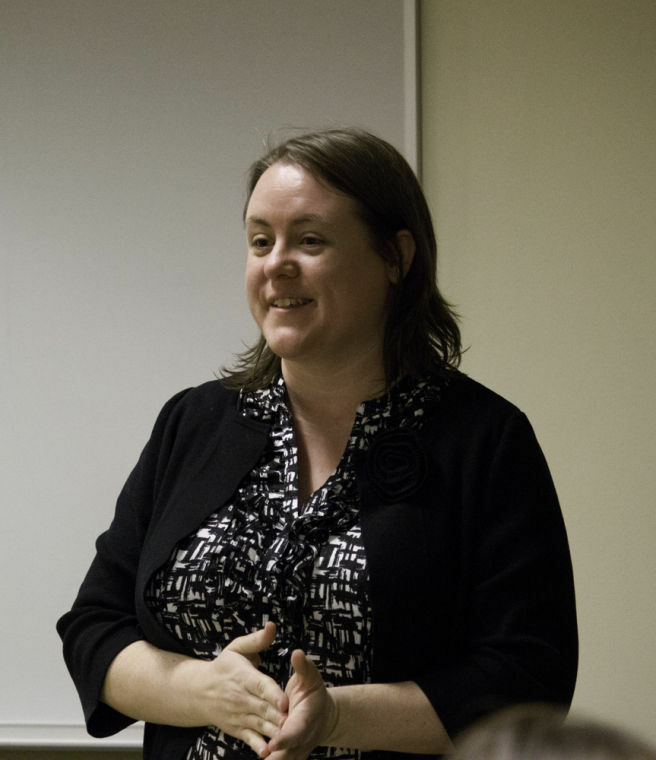 Graduate student Katie Smith also gave advice on mental illness during Wednesday night's Erase the Stigma event. 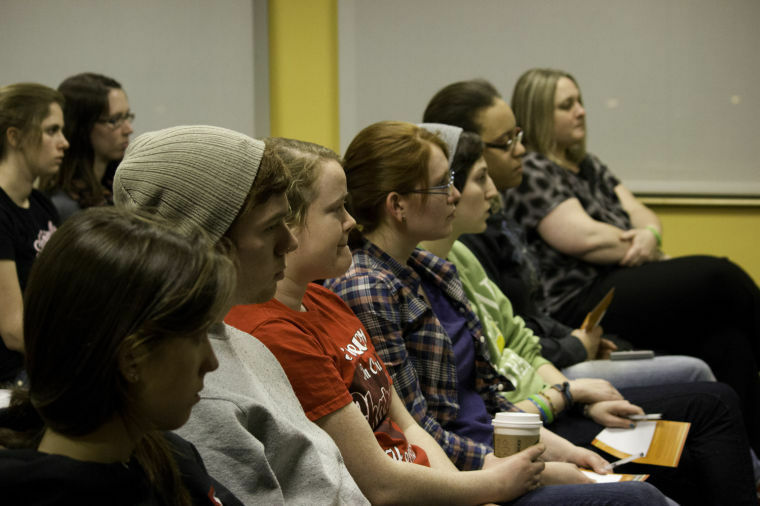 Students took in much information about anxiety, depression, eating disorders and some other mental illnesses during Wednesday night's Erase the Stigma presentation hosted by the Wellness Network.